Edmund Rice was born on the family tenant farm, Westcourt, in Callan, Kilkenny in 1762. Callan is located in County Kilkenny about sixteen kilometres south of the town of Kilkenny and thirty five kilometres from the seaside city of Waterford. Edmund’s parents ran a prosperous tenant farm, an opportunity rarely provided for the poor Catholics of Ireland at the time. Since harsh Penal Laws excluded Catholics from receiving a formal education, Edmund more than likely completed his education in ‘hedge schools’. 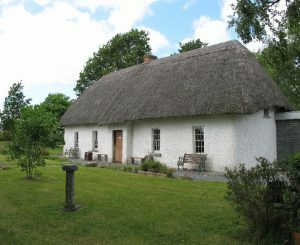 Edmund’s birthplace, Westcourt, is today The Edmund Rice Heritage Centre. The centre boasts The Edmund Rice Memorial Chapel and Visitor Centre, and includes the bedroom where Edmund was born and where he lived with his six brothers and two step sisters.